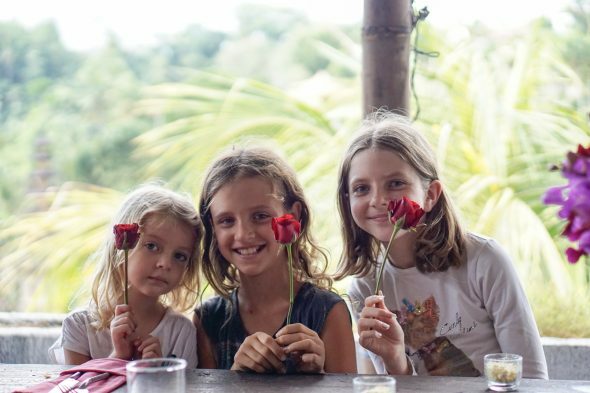 From the minute we first arrived in Ubud, Bali over five years ago, we knew that it was a place our family wanted to settle down in. 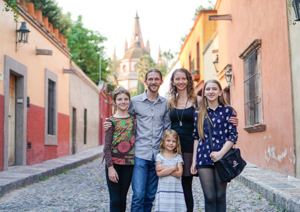 After living in Costa Rica, Bali was an exciting change for our family. 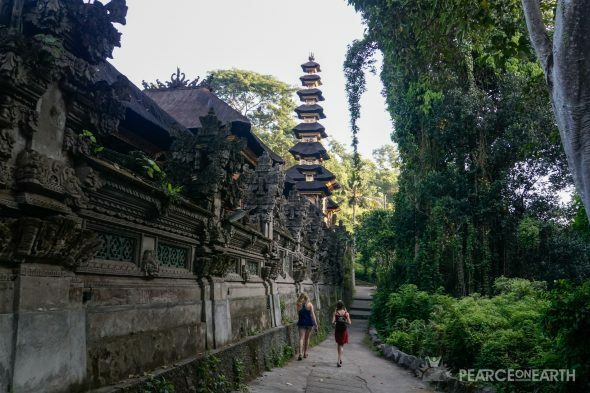 Ubud is the spiritual center of the predominantly Hindu island of Bali and we immediately found ourselves to be in-tune with the slow, intuitive, and healing vibe of Ubud. We liked it so much that we set up our own home base there and continue to return to Bali again and again. When we aren’t there, we rent out our beautiful villa on Airbnb. Last year, we spent a few blissful months in Bali. In this video, our family shares a few of the things we love about this island paradise. 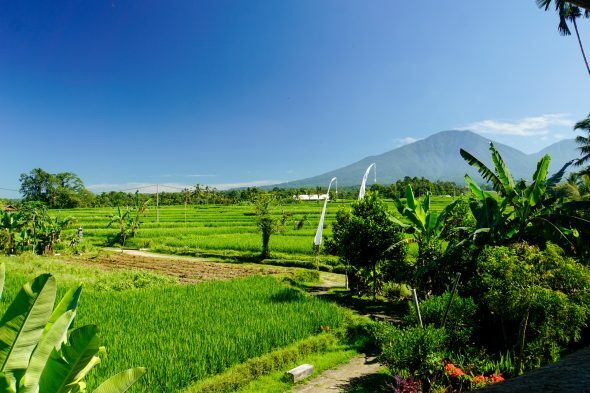 I hope it gives you some insight as to why we think Bali is a great place to live! Hey everyone, it’s Brandon Pearce! 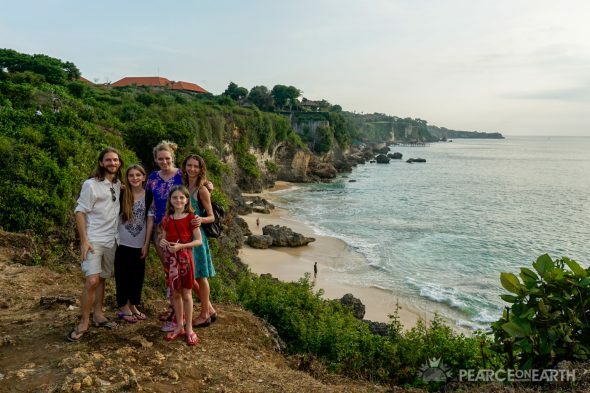 It’s been over a year now since our family was last in Bali! 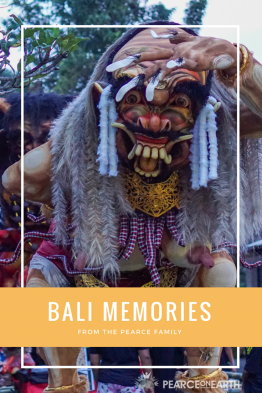 During those two months that we stayed there, I created a lot of videos about Bali, but I realized I hadn’t created a video about what we did as a family during that time – what was going on in our minds and the changes we went through. Today, I wanted to bring the family together for a video where we’ll be interviewing each family member about some of our experiences in Bali, along with some of my clips and photos that help capture our memories. I hope you enjoy new video interview format I’m trying, not only to get a glimpse into Bali but also into our lives as a family. 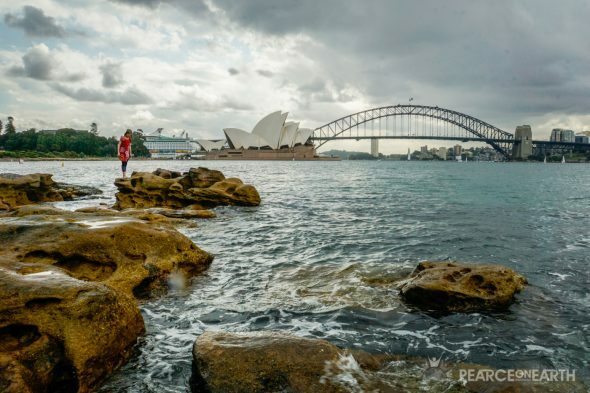 We’ll also be throwing in a few clips of Australia as well because we were there for a few days on our way to Bali. 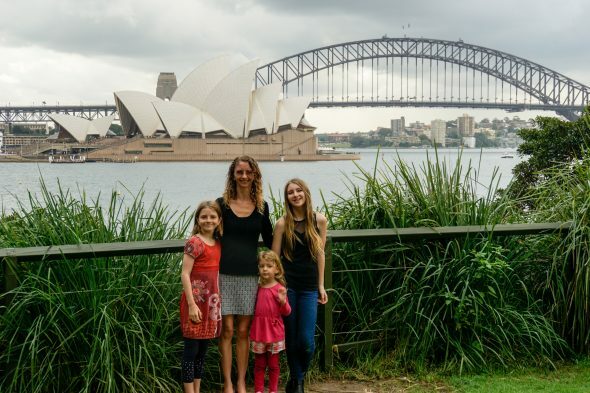 On the way to Bali, we stopped in Sydney for five days where we saw a play called Mr. Stink in the Sydney Opera House. Mr. Stink is about a little girl who befriends a homeless man and the story shows how their relationship helps transform all of the relationships in the little girl’s family. We also spent some time with new friends that we met in Fiji on a cultural boat tour. Our friends invited us to come stay with their family for a couple of nights. One day, we all went on a walk through their neighborhood to a park and we were very surprised and delighted to see quite a few beautiful rainbow lorikeet in the trees. I think one of the things I enjoyed most about our time in Australia was the Powerhouse Museum. 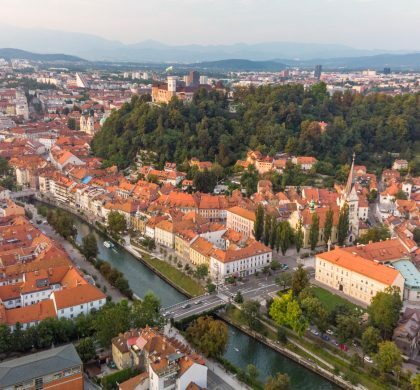 This cool museum is all about energy, electricity, and culture. I remember we watched an old black-and-white video from the early 1900’s that showed so much racism and sexism in the world at that time. Watching it made me so glad that we live in a little bit different world today. There was a really cool mall right next to our accommodations in Sydney. The mall had arcade games that you could play for free. The girls loved to play on these spinny chairs there, too. It was pretty fun! We ate really well on Australia, although it was all very expensive. I was shocked at the prices of everything, especially parking! In Australia, we enjoyed going to a parkour gym. Our girls were introduced to parkour and they got to play on the trampolines and in the foam pits. We had a great time. 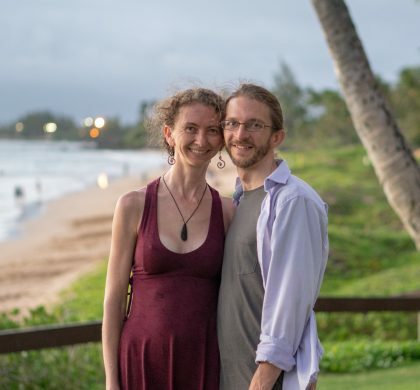 It’s been about a year since we’ve been in Bali and we’re going to go there in eight days! I’m excited to go to Bali and I’m really excited to see my best friend Ayisha! Marie had a nice time in Bali with her best friend Ayisha. Ayisha lives in Bali and she and Marie have such a good time together. When it came time to leave Bali, we had a goodbye lunch together at a restaurant. When it was time to go, they both dissolved into tears. They were so sad! Our hearts broke for them and we invited them to spend a little more time together that afternoon. Their tears dissolved into laughter because they were so excited to spend more time together. They do spend a lot of time together online but it is just not quite the same as in person. 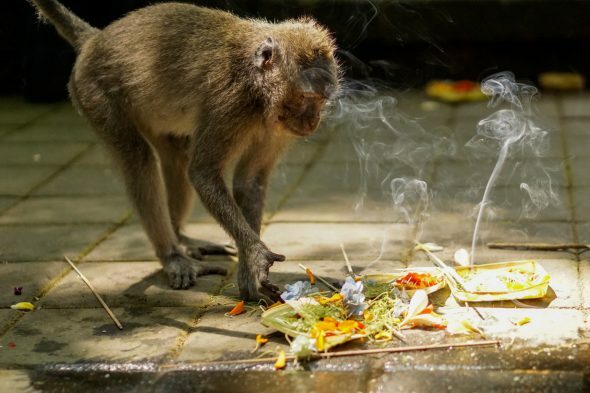 I remember last summer in Bali we went to the Monkey Forest. The Monkey Forest is usually a treacherous experience because the monkeys are a bit wild. People go up to touch the cute monkeys but sometimes they get a bit crazy and steal your stuff and jump on you. One time I was at a clinic getting treatment for an infection and I came across a kid who got bitten by a monkey. That was pretty memorable! What I like best about Bali is that it is really pretty and it has a lot of bamboo. 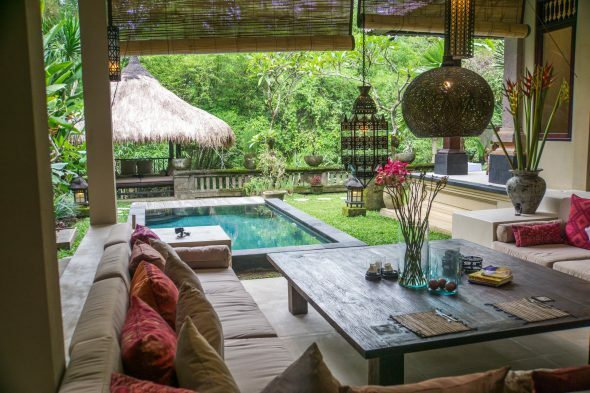 I really like our house in Bali. It has a swimming pool and it has a swing. Sometimes I don’t like it if it’s really loud in Bali. We also have a swimming pool in our house in Bali. I love swimming in it even though sometimes it gets dirty and bugs get in it. I love swimming in our pool, it is so fun. We celebrated Aysia’s sixth birthday while we were in Bali. They have a cold stone creamery in Denpasar at the Galleria Mall which is about an hour from our house in Ubud. 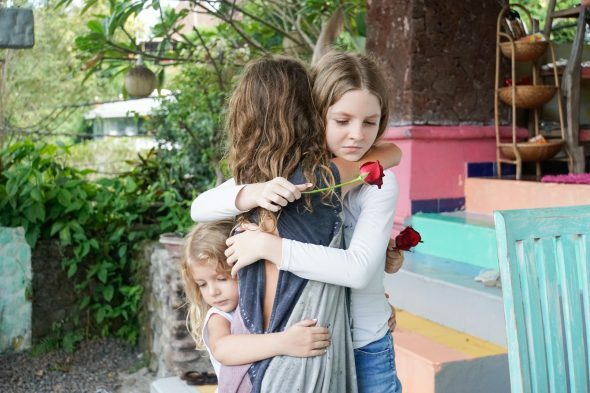 We were excited to find out that we could get Aysia an ice cream cake and actually get it back to our home in Ubud before it melted as they pack their cakes in dry ice! We found out that dry ice is actually solid carbon dioxide and we had a fun time learning about it and playing with it. That was a good educational science experiment. We got an Oreo vanilla ice cream cake which was absolutely delicious. Last year when we were in Bali, I started coaching. It’s been so fun to work with these incredible people on their businesses and on the big life choices they’re making. Coaching was also a great learning experience for me because I learned how to listen more intently and connect with a person in a way that can really support them at taking their life in the direction they want to go. 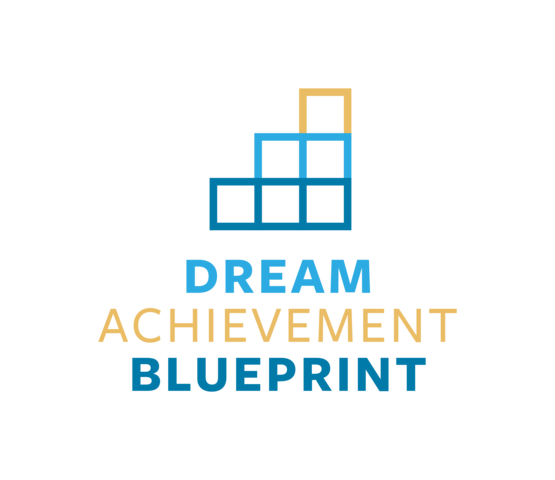 I have since cut back from coaching a bit because I want to work on some other projects that I’m really excited about like the Family Adventure Summit. 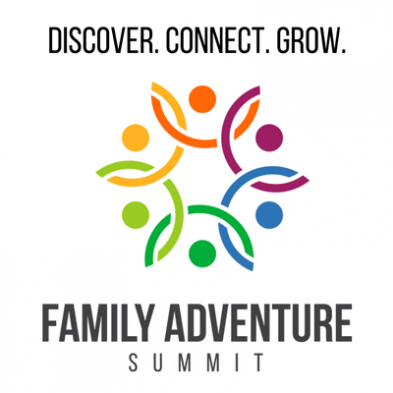 The Family Adventure Summit is a live 3-day event for families interested in long-term travel and location independence. This event is going to take place in Penticton, BC, Canada on September 1st through 3rd, 2017. We’ve been working on organizing this conference for a year already and I’m so excited. It’s going to be an epic event! Last year when we were in Bali, we took classes. 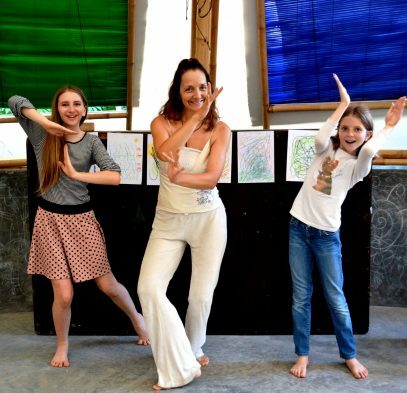 Emily, my best friend Ayisha, and me we are taking a private art class. Ayisha and I we’re also taking a private class where we were learning fractions and stuff. It was fun. In Bali, I went to a drama class which was really fun because we got to learn new things about acting. I also really liked my drama class because we do fun games and we do plays every once in awhile. It’s really fun. I liked the community of the classes we went to. The kids are really nice although sometimes it got a bit chaotic. 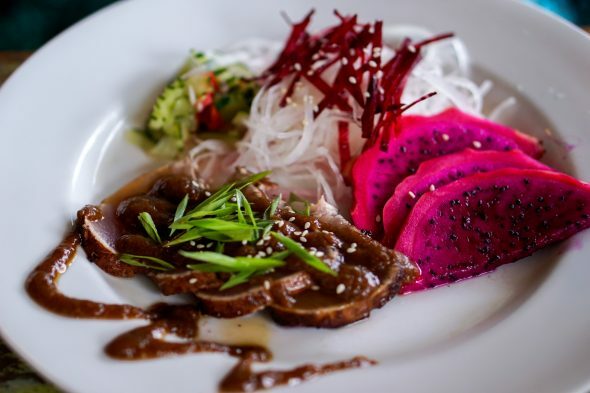 In Bali, we tried out a few new restaurants. 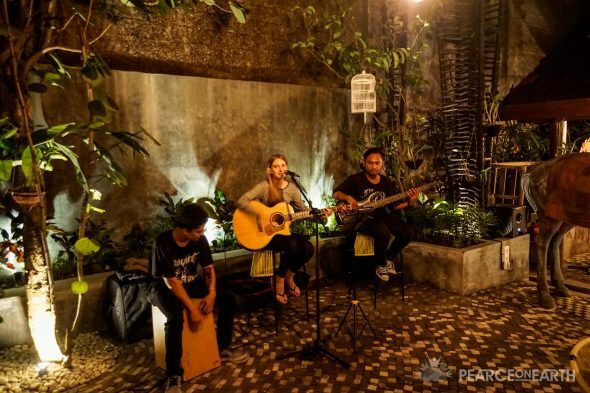 At one of the restaurants called Pacha Mama, Emily was even invited to perform her guitar one night with a drummer and another guitarist performing with her. The food in Bali is really great. They have so many restaurants! The ice cream can be really good there. It’s mostly gelato. Gelato Secrets is really yummy. It’s probably our favorite because there are so many rich flavors. There are restaurants from all over the world in Bali. There are Indian restaurants, local restaurants, Mexican restaurants. There is a Mexican restaurant called Taco Casa. I love the black beans there. So yummy! There’s also a restaurant called Mamma Mia which is a pizza restaurant and it’s really, really, really, yummy. My favorite restaurant is probably Clear Cafe. The original restaurant actually burned down but they relocated while it was rebuilding. The food there is really great. 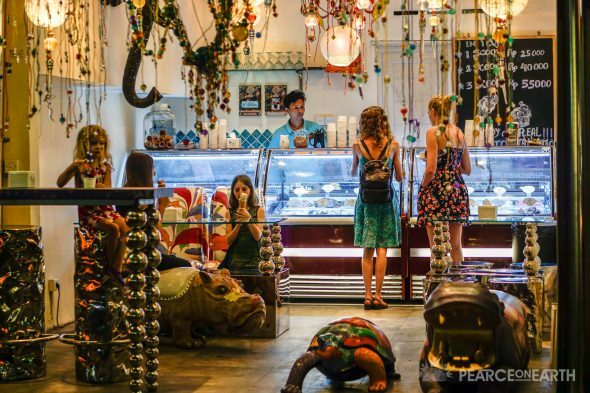 They have Mexican food, Balinese food, Indian food… it’s a cool place. The biggest highlight this time around in Bali was when my cousin Lizzy came to visit our family. We got to spend a lot of time with her and get to know her better. Lizzy is just so full of love and amazing energy. We all enjoy being with her. We did everything from shopping, to massage, to having wonderful conversations, to eating really delicious food. One weekend we even went to Nusa Lembongan where we spent time snorkeling. Lizzy and Emily took a surfing lesson together there. Last year we went to Lembongan Island which was fun. I got to surf. I got cut when we were coming back from surfing. The surfing instructor teased me about putting lemon juice on my cut. It was kind of funny. 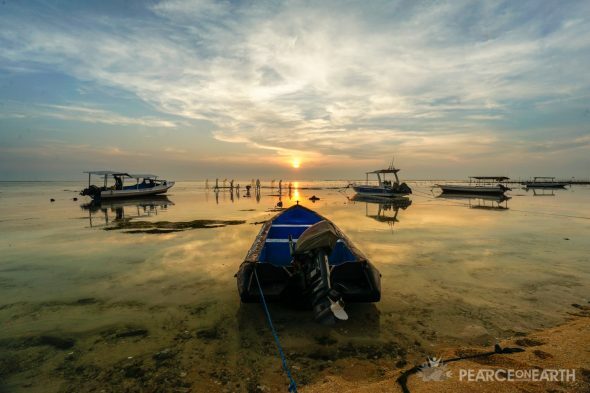 On my birthday, we were in Lembongan Island and we decided to go snorkeling as we had heard there was a beautiful place you could go see giant manta rays. Unfortunately, it was really high tide, the moon was full, and it was windy so we couldn’t go out to see the manta rays. The water was so turbulent I ended up feeding my breakfast to the fish! I felt sick the whole time, but we saw some beautiful fish and it was good to be together with our family and Lizzie. One night Lizzie treated to a fancy French restaurant. It was such a lovely evening. Back in Ubud, Lizzie and I took a cooking class from Casa Luna Restaurant. We learned all about the Balinese cuisine, flavors, and colors. 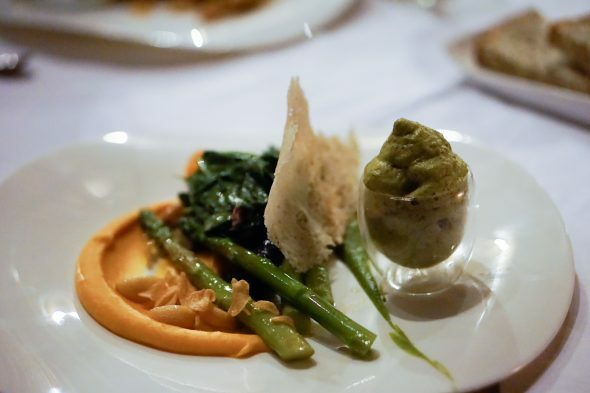 It was especially interesting learning about the different ways Balinese use food combinations and ingredients in their cuisine to enhance digestion and overall health. 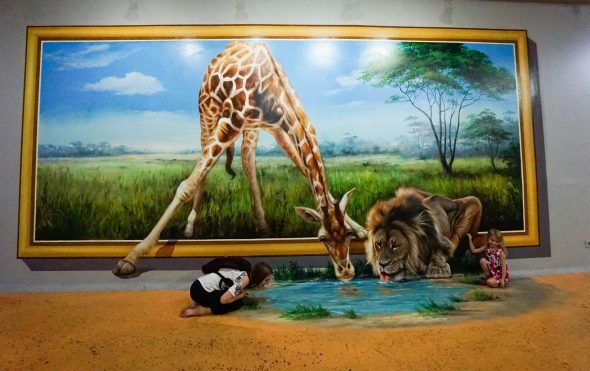 We also in went to a 3D Art Museum. There were paintings everywhere on the walls. It was so fun and when you looked at the art it was hard to tell if it was actually a painting or not. 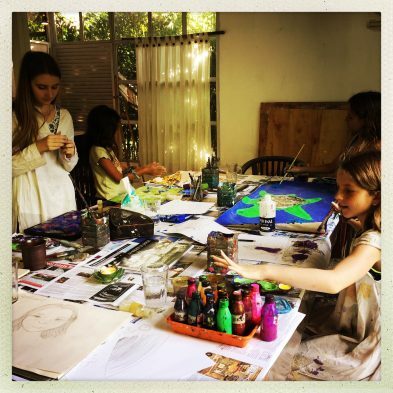 When we were with Lizzie, we visited sites all around Bali and Ubud. The Tegallalang rice terraces were so beautiful. 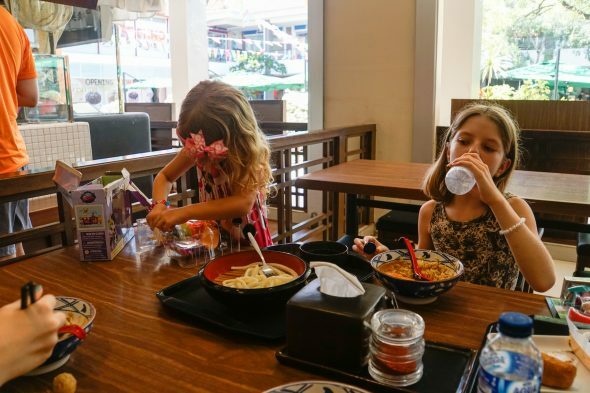 We went to the market, we went to several stores, we went to downtown Denpasar. 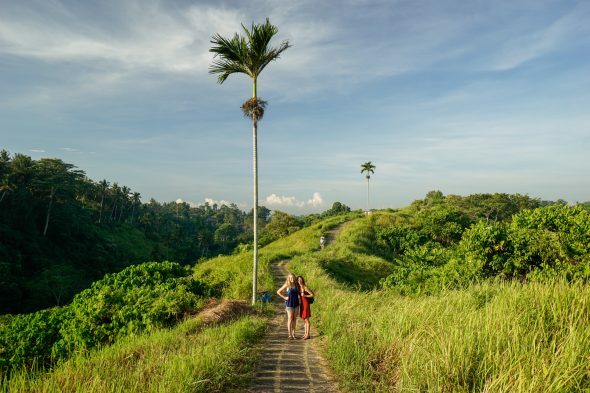 We also went to the Campuhan Ridge Walk which has beautiful temples at the beginning and just opens up into this lovely path with palm trees and greenery on both sides. A lovely way to spend the morning. 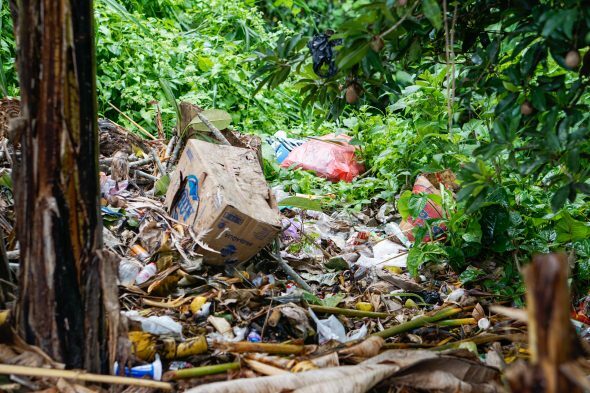 Bali is also filled with tons of trash. When you look on the side of the road it’s just filled. When you look down at the river the river is not clean, it’s just piled up with trash. It’s kind of depressing. There’s a place that does recycling in Bali. You bring your trash and they cut it up into pieces and make bags and things out of it. Sometimes they sell the scraps of plastic to other people so they can make things out of it. I had the opportunity in Bali to attend a silent retreat where I was able to have a lot of time to read and to journal and to think. It was a really great experience. Right outside the retreat, I got to go on a nature walk with a naturalist named Songtu. He took us on a tour of the rice fields and taught us about the medicinal plants and their offerings, and some of the different types of rice. I loved the Bali silent retreat. This was actually my second time at a silent retreat. Jen and I took turns going on retreats while the other stayed home to take care of the kids. The silent retreat was such as great experience because it’s so… silent. You can go so inward and focus on your own thoughts and see what is coming up inside. It was very helpful for me. I had a few new insights. One, in particular, is the idea that we’re always talking about how important it is to love yourself. I’ve spent a lot of time focusing on loving myself but I have not spent much time thinking about the idea of receiving love from myself. I found it to be a very different sensation to allow myself to receive my own love. 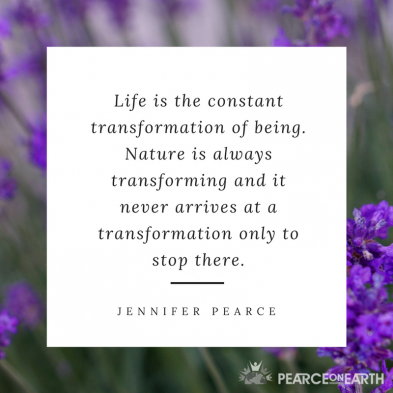 During my time at the silent retreat, I was thinking quite a bit about how life seems to be about the constant transformation of being. Nature is always transforming and it never arrives at a transformation only to stop there, it just keeps on constantly transforming. I thought that was really interesting to think about. We also had so much fun again at the Komone Beach Club which has a beautiful black sand beach. We went there with Lizzy and our friends the Kings. We had such a good time playing in the sand and in the pool. It’s also a great surfing beach. While we are not skilled surfers, it is a great spot for those who enjoy advanced surfing. There are lights that come on at night to illuminate the entire beach. It has really cool sparkly black sand and when you look at it, it just looks like glitter on the beach. It was really cool and fun to do. It is fun to play on the beach at night because in the day it is way too hot and your feet burn. On the way back, Marie stopped in at a doctor’s office to get a skin infection treated. It was an interesting experience to see how the clinic works there. It’s a 24-hour clinic and we just popped right in. It cost $70 to see the doctor without any insurance, and they cleaned her right up. 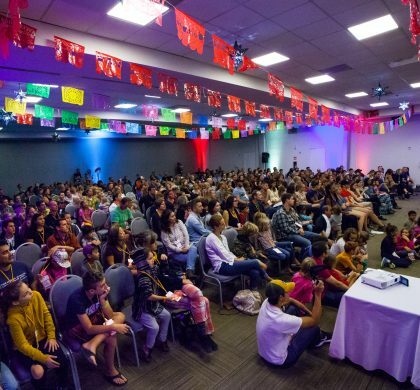 If you’re interested in long-term travel or location independence then please visit www.familyadventuresummit.com and check out our live event. There, you’ll meet dozens of other families who are living their dreams with their families. We hope we’ll see you there! Thanks for watching and remember to live well and enjoy life now.